For the second time so far this year, we’ve awoken to find the pond a mess. 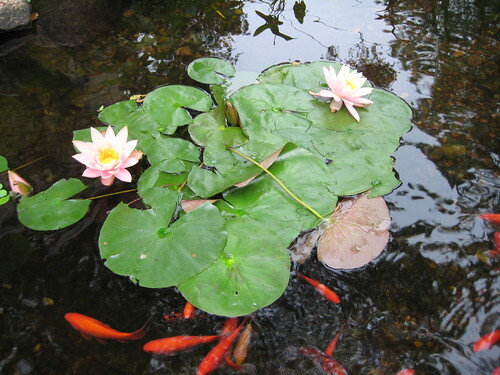 The lily pads are all twisted together, the pickerel weed is flattened, and there are big patches on the pond bottom where the pebbles have been shifted to expose the liner. Fortunately, it doesn’t appear that we’re missing any fish, although the frogs have yet to make an appearance (they’re sort of shy anyway, so I’m not worried yet). I’m not sure exactly who or what is responsible for all this damage. I would have thought I would have heard a raccoon falling in the pond, even with the windows closed. Could it be a person? The damage seems sort of random. A heron or egret? 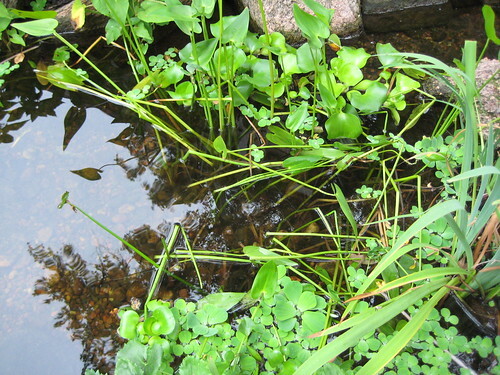 I wouldn’t think that they would knock down the pickerel weed so much…and that they’d snag one of the bigger goldfish. Has anyone seen similar activity in their pond? If so, do you know who the culprit is?